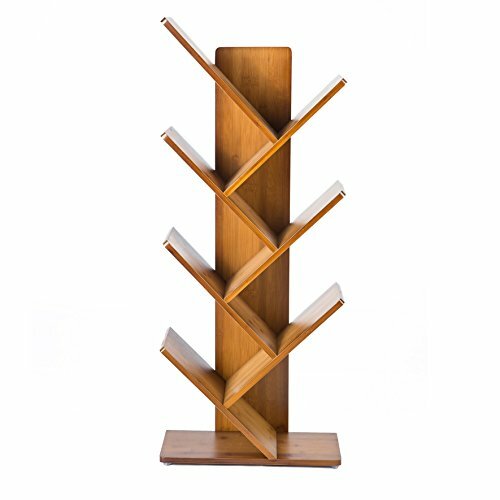 For this post, I have put together a collection of the best bookshelves currently available online. 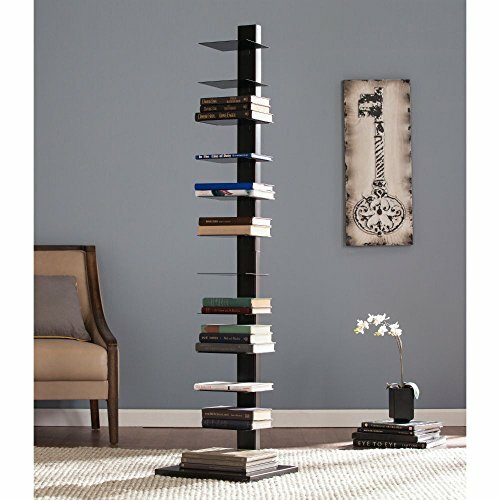 A quality bookshelf needs to be durable yet elegant since it is such a prominent feature in any room. 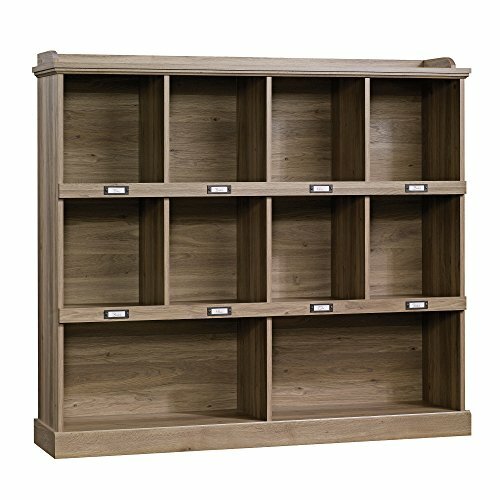 The following bookshelves are designed to keep your home office or living area organized and looking great. 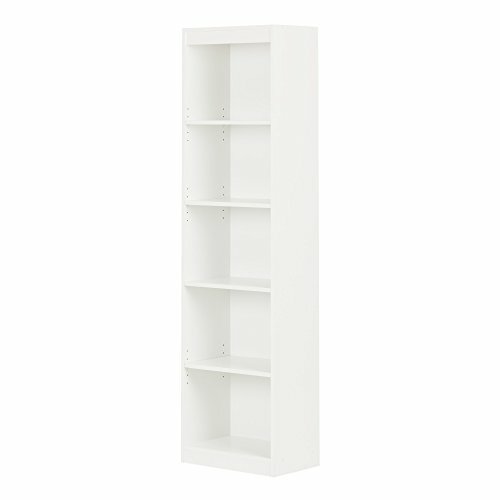 So here is my list of The 10 Best Bookshelves You Can Buy Online. Inspired by recovered materials with the warm native timber Washington Cherry finish. Accented with Riveted Iron and matching hardware make a great accent piece for the modern home. Cubbyhole storage that accommodates ID label tags. Industrial sturdy black coated iron frame with two oblique side bars and extra back bars for a better stability and resistance. 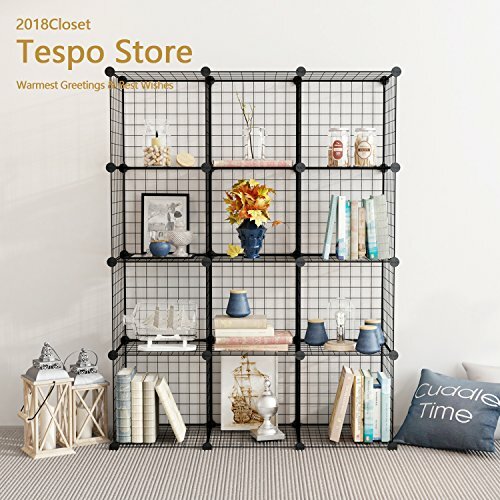 The space between the shelves is 13 inches, allowing a large storage area for your multiple items, books, family photos, frames, devices, utensils or plants. 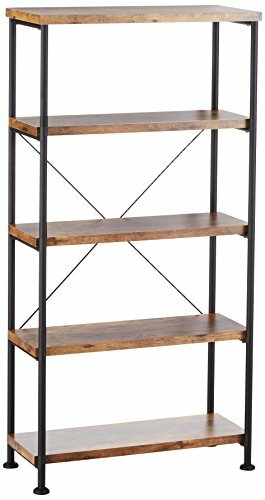 Includes 4-Tier shelves and an additional ground storage space under the 1-Tier shelf. Made of durable MDF material resistant to water and wear for easy maintenance and durability. Easy assembly – Simply unbox then clip the shelves into the iron frame. Versatile unit easily integrates with other furniture. Efficient and space-conscious bookshelf option. Large uninterrupted shelves are ideal for all of your storage and display needs. Constructed with a solid steel tube support frame. Anti slip pad helps to avoid shelf from moving and reduces scratching floor surfaces. 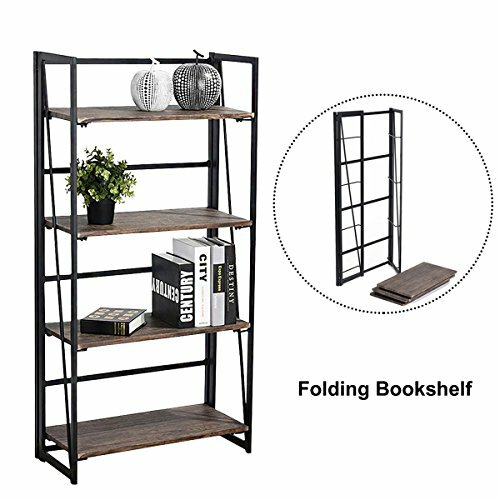 Versatile bookcase can meet all your storage needs. Narrow design works even in tight spaces. Both functional and attractive with its sleek contemporary styling. Features five open, practical and accessible storage spaces, separated by 1 fixed shelf that can support up to 25 lb. Three adjustable shelves that can support up to 15 lb. 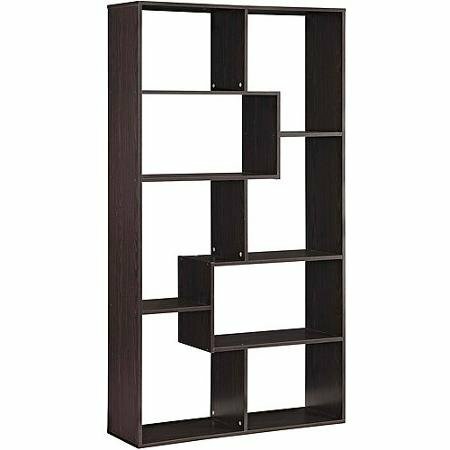 Unique, tree-shaped bookcase is 100% solid wood. The series of angled shelves allow you to easily and elegantly display books or other items. Narrow design fits in almost any location in your home or office. Sleek meets nimble with this multi-functional, go anywhere spine tower. Jet black hue and contemporary composition meld into organizational chic and slim profile squeezes into the tightest of spaces. 12-shelves for books or media. Shelves flip up to easily fit larger books. Made from powder-coated tube, sheet metal. Made with sustainably sourced solid wood. 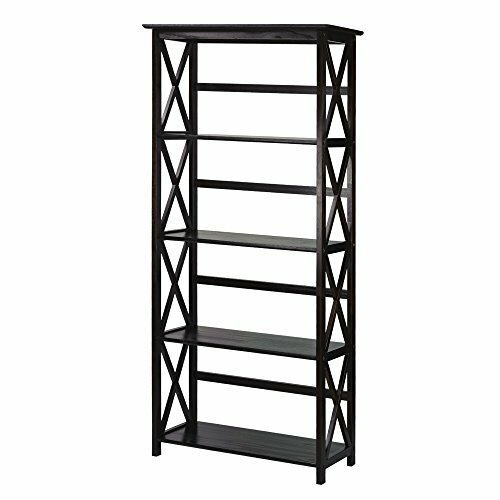 Quality finish gives this bookcase a strong, contemporary appearance, perfect for home storage and decor. Black, espresso, and walnut finishes available. Simple and easy assembly with all hardware included. Antique nutmeg and black finish with four storage shelves. Study, industrial design looks great in any space. Customizable, interlocking cubes gives you multiple stacking options. Reliable construction is supported high quality steel, resin, and ABS connectors. Weight limit: 44 lbs per cube. I hope this list of the best bookshelves was helpful.